With the kids back at school and our weekly routine back in full swing, I'm back to making quick weeknight dinners, except this time, I'm aiming to make them even healthier. Last night's dinner was whipped up in 30 minutes...no kidding! Ok, maybe 45 minutes tops but if you're a fast mover in the kitchen like I tend to be, 30 minutes will be all the time you need. 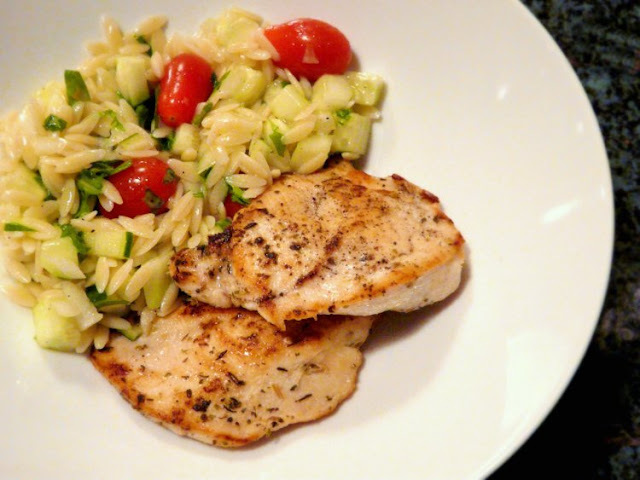 I paired a simple crunchy orzo salad with pan fried Italian style chicken breasts. Fresh chopped vegetables and citrus vinaigrette are what makes the orzo salad crunchy and refreshing. 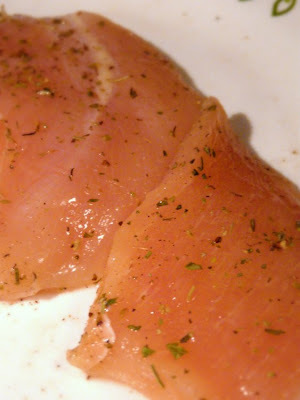 The chicken breasts are lightly seasoned with dried Italian herbs then browned. While fresh herbs are preferable and can be used, I cut down on time by using dried herbs, garlic and onion powder since it didn't require additional chopping. The chicken breasts are first butterflied then halved so that the thinner pieces cook faster and more evenly. All in all, not a bad dinner for 30-minutes of kitchen time. 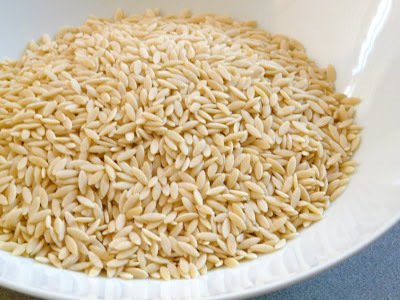 Orzo pasta are rice-shaped and cooked in the same fashion as other small pasta. 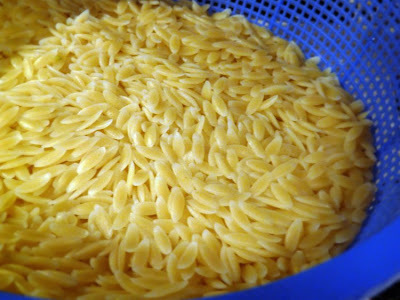 Cook the orzo according to package directions then drain and set aside. 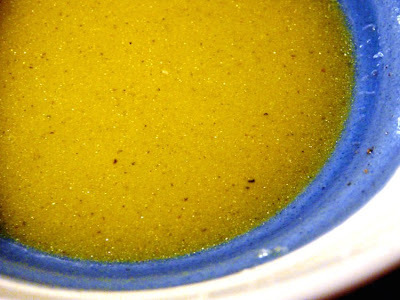 Whisk the vinaigrette ingredients together and set aside. 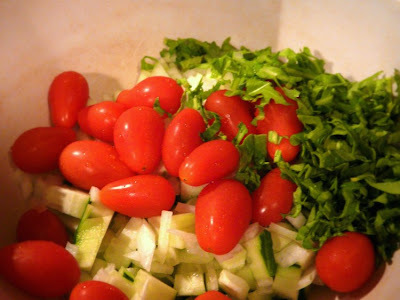 Prep the vegetables and herbs and place into a large mixing bowl. 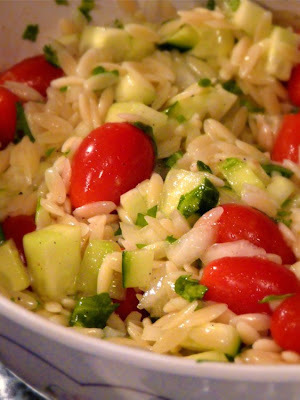 Add the orzo and vinaigrette to the vegetables and toss well. 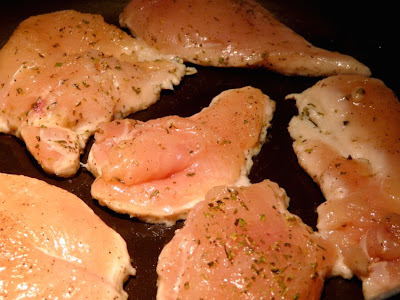 Remove all visible fat from the chicken breasts. Rinse them and pat dry with paper towels. Using a sharp knife, butterfly them by cutting through the thickness of the breasts as evenly as possible. Slice each breast into two so you get two thinner breast pieces. In a small bowl, mix the rest of the ingredients together. Rub the herb and seasoning mixture onto each breast piece. Heat a non-stick frying pan over high heat and spritz with cooking spray. Sear the chicken on both sides until nicely browned, about 2 to 3 minutes on each side. Place a lid over the pan and turn the heat down to medium low and allow the chicken to steam for 5 to 10 minutes until fully cooked on the inside. 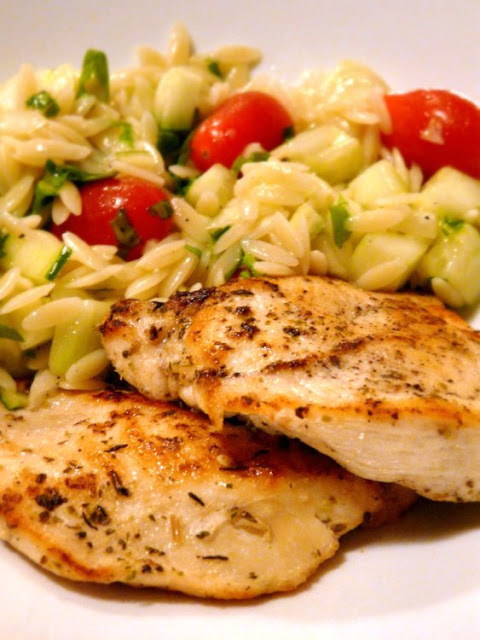 Transfer to a platter and serve immediately with the orzo salad.